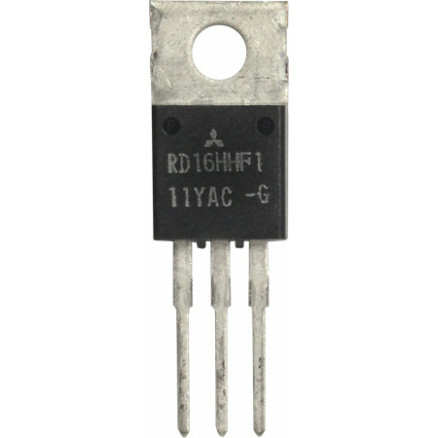 RD16HHF1 is a MOS FET type transistor specifically designed for HF RF power amplifiers applications. For output stage of high power amplifiers in HF band mobile radio sets. RD16HHF1-101 is a RoHS compliant products. RoHS compliance is indicate by the letter “G” after the lot marking. This product include the lead in high melting temperature type solders. However, it is applicable to the following exceptions of RoHS Directions.